Is the Oklahoma Senate’s decision to pass Gov. 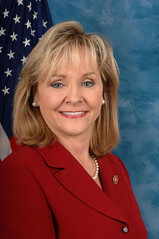 Mary Fallin’s major income tax cut proposal reckless or is it just part of ongoing political negotiations? On Wednesday, the Senate voted to approve Fallin’s proposal, which would lower the top income tax rate from 5.25 to 3.5 percent next year and then lower the rate by one-quarter of a percent each year revenue growth is 5 percent or more. The Oklahoma Policy Institute, a think tank based in Tulsa, estimates Fallin’s tax-cut plan would cost $1 billion in the first year, a staggering amount of money in a state with a current budget of $6.5 billion. It’s unclear how the cut would be paid for, but some legislative leaders apparently are saying the major cut isn’t going to happen this year.
. . . Republican legislative leaders say they’re still negotiating several tax cut plans and have acknowledged it’s unlikely that a cut of more than 1 percent can be accomplished this year. That’s some good news, although the prudent action would be to hold off on any tax cut this year. Even 1 percent or even a quarter of that amount is way too much. Declining natural gas gross production tax revenues and recent major budget cuts at state agencies and in education should mean the tax-cut talk should be put on hold for this year. Oklahoma still has not returned to pre-recession revenues. Let’s revisit the tax-cut issue when that “return” happens. Senate Republicans might just be giving respect to the governor, but their action could also be labeled as at least questionable if not reckless. Why pass this particular plan if it’s not going to make it through the legislative gauntlet? Why didn’t Fallin, pictured right, release Republican legislative leaders of any obligation to her plan given the downturn in natural gas tax revenues and issue a statement about it? Why play with fire? Or is the point to show how financially responsible the Republicans have become when they pass a smaller cut? Will it make it more politically feasible for them even though a smaller cut would likely end up requiring more budget cuts? I’m not necessarily arguing there are ulterior motives here in passing this particular plan beyond legislative protocol, but anyone who has followed the Oklahoma Legislature through the years knows the political shenanigans never cease until adjournment. So the major question is simply this: Does this plan have any chance of reaching Fallin’s desk? Maybe I’m just too much of a skeptic, but I wouldn’t rule it completely out at this juncture. There’s growing evidence in favor of NOT implementing any type of tax cut this year as I’ve noted here and here. OK Policy makes the comprehensive case against a tax cut here. This is an important issue that has the potential to negatively impact the quality of life here through even more cuts in education and state services.